Last week I started a series about jars. To catch up, I put the whole story in here. Verse 6 is a very revealing verse. There are some applications to be made. 1. 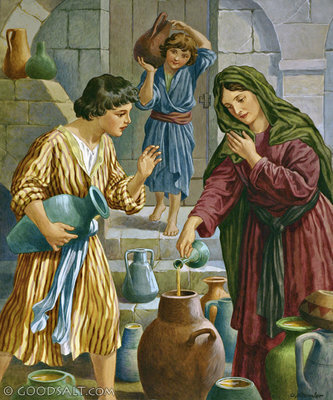 “When all the jars were full…” The widow was obedient to the instruction given to her. 2. “Bring me another…” The widow was not content with what she had. There was more. 3. “There is not a jar left…” God had met here needs. 4. “Then the oil stopped flowing” No more jars meant no more oil. This is what really struck me. God has “oil” for me. The Holy Spirit is that oil. God living in me. The power and grace I need to live everyday for Him is right here. So my job is to bring empty jars for God to fill. The jar of my marriage. The jar of my kids. The jar of my church. The jar of my fears. The jar of my insecurities. The jar of my mistakes. So as long as I keep bringing these jars, the oil will keep flowing. What jars do you have for God today?